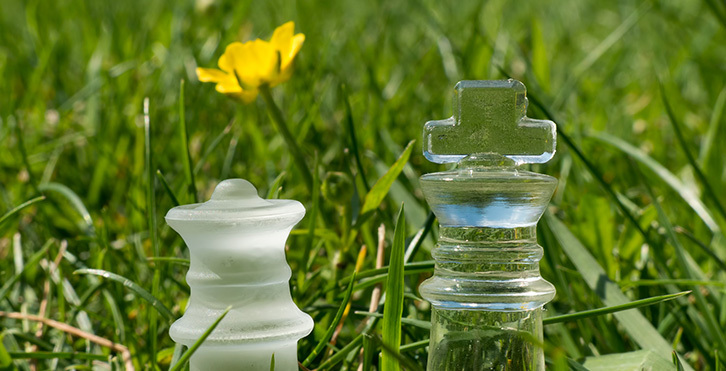 When I went out with 2 pieces of a glass chess board, I had a particular picture in mind. Once again though, I had to change my plans when I was actually taking the pictures and experimenting a little. Despite the composition I originally pictured in my mind worked out well (the chess pieces on a drum with the sky as a background). However, the composition that looked best from my point of view was the one you can see below. I have shot it for the FlickrFriday theme #YouAndMe. I stepped the aperture down to f5.6 to get sufficient depth of field. You can see the full versions on flickr by clicking on the individual pictures. I also took two more pictures, in black and white though. 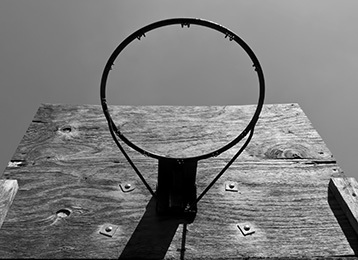 These are two slightly more unusual perspectives, to emphasize the unreachability of the basket as well as focus the viewer onto the (blurred) puddle. I experimented, but focusing on the puddle looked strange and unpleasing. 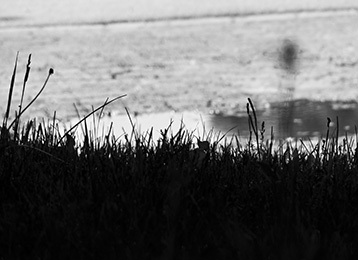 I figured that focusing on the grass still let the puddle remain the object of interest in the picture. In order to direct the viewers eye you don’t always have to put the subject into focus (of course that usually helps :)) nor in the center. Sometimes you just need to experiment a little and decide on what feels natural rather than insisting on sticking to your original idea.